After months, or maybe even years, Bollywood delivered a movie which managed to draw the attention of people from all spheres of life. 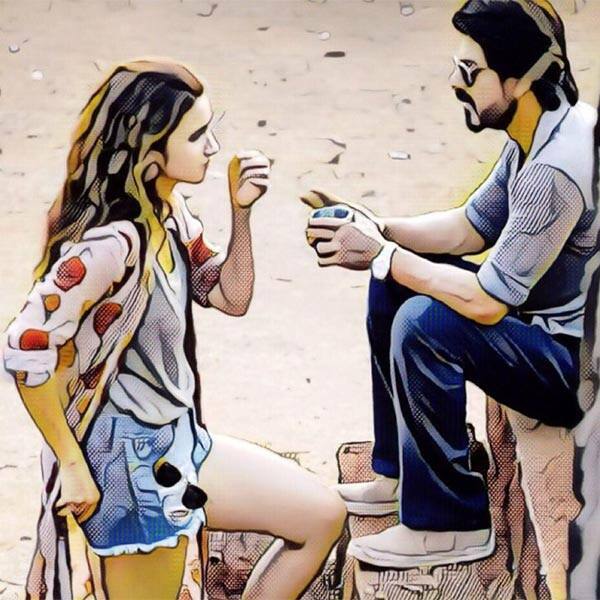 Dear Zindagi, like every other movie, received its share of praise and criticism, and for about a week now, I can’t scroll down my social media newsfeed without stumbling upon yet another review about it. The movie grapples with the idea of mental health, and what is heart-warming for me is that more and more people are now sitting up and paying attention to the issue, albeit, with certain criticisms thrown in. I was initially hesitant to jump on to the bandwagon, since all the articles I had read about it, seemed to collectively mirror my thoughts. However, I was aghast when I came across an article, which reviewed the movie with some distasteful words, armed with extremely incorrect and stereotypical facts. It made me realise that the concepts of mental health and mental illness are still elusive for a wide part of the population, and being a part of the mental health profession myself, I felt the need to voice my opinions about the movie. One particular area which I believe requires to be emphasized on, is who exactly is in need of help with mental health and/or mental illness? A popular idea which seems to be doing the rounds is that the lead protagonist of the movie is just a young woman, with difficulty in sleeping and forming healthy romantic relationships, and thus is just spoilt and emotionally weak, and definitely doesn’t need to seek help. “But she doesn’t even have a diagnosable mental illness! And she has been having sleepless nights for only three days. What is she seeking help for”? Interestingly, what I found progressive about the movie was this very depiction of a situation requiring valid psychological help. The director broke through the barriers of diagnosable mental illnesses like anxiety, depression, bipolar disorder, and schizophrenia; and welcomed the issues of difficulty in coping with one’s life situations, emotional distress, difficulty in acceptance of one’s own sexual orientation, into the realms of psychotherapy. One doesn’t need to have a classified mental illness to enter psychotherapy. “I don’t feel so good these days”, is an equally valid reason; denial of which, only strengthens the stigma revolving mental health and illness. Hundreds of people stifle their cries for help, only because they are told that their problems are just not grave enough. Another criticism that I came across was about how impolite it was when the lead protagonist of the movie declares her mental health problem in front of guests at a party. Again, I personally found it empowering to see a young woman, unabashedly yelling out her problem, not just in front of her immediate family, but also her parents’ close friends. It gave me a hope of de-stigmatization, of more and more people getting emboldened by this portrayal, and being able to confide their struggles to their close ones. The very idea is to break the shackles which have been chaining mouths shut for decades, and allowing the people to discuss their problems freely, thus, breaking the taboo. Yet another criticism which seems to be doing the rounds is how instead of helping the young woman understand faults within her current patterns of communication and attachment, the character of the psychotherapist in the movie conveniently shifts the blame to her childhood and her unhealthy attachment pattern with her parents, to be the reason for her present difficulties with forming a healthy relationship with a significant other in her life. A quick research on the internet should suffice one with various theories propounded by eminent psychologists, who believed that our early years of development constitute a crucial period of our lives, any significant disturbance in which, can have powerful impact in our later years. Lastly, the usage of the term ‘shrink’ needs to be put an end to. It is a slang word, and I believe that writers, bloggers, film directors, can do their bit to cultivate a habit of instead using the more dignified terms like ‘psychotherapist’ and ‘psychiatrist’ to refer to the same. Gauri Shinde skillfully weaves these terms into the movie, along with the more relatable Dimaag ka Doctor, thereby giving the derogatory shrink a miss. Even though the movie did portray certain fantastical scenes which violate some of the regulations and ethics of psychotherapy, it still deserves an applause for being brave enough to broach the subject of mental health and mental illness, and softly target the stigma with grace.